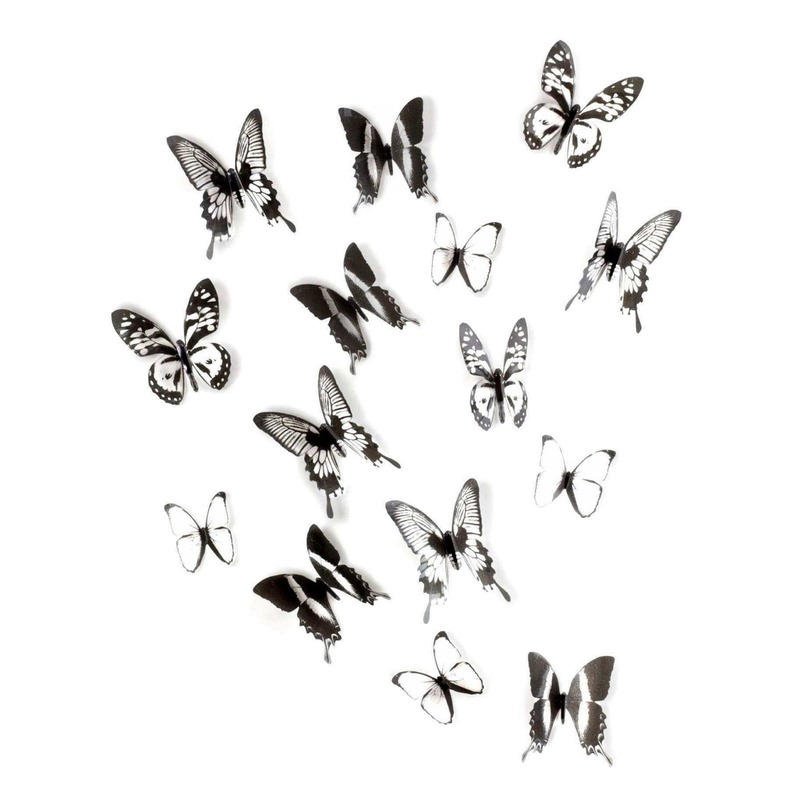 Bring a feeling of spring and nature into your home with this beautiful set of flexible wall mounted butterflies (set contains 15 pieces). 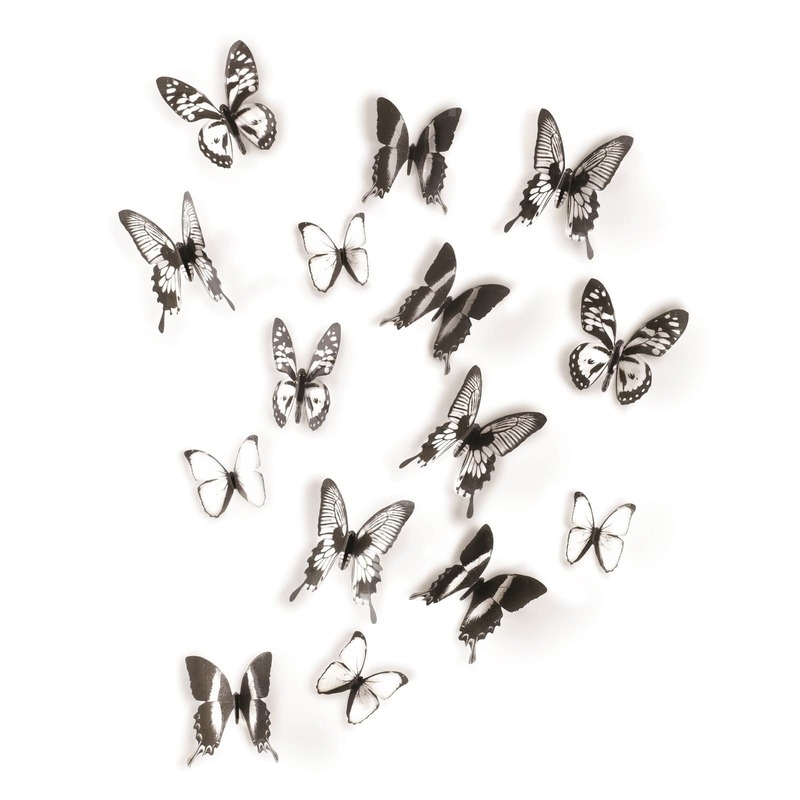 The Chrysalis Wall Décor set consists of 16 plastic butterflies in different sizes. The butterflies are made of semi-transparent flexible plastic, a slight gust of wind will make their wings move for a stunning effect! 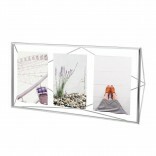 You can mount them to the wall in various arrangements using the included adhesives and instantly transform your interior. Dimensions range from 15.2 x 12.7 cm (6 x 5") to 10.2 x 7.6 cm (4 x 3").